A Picture IS Worth A Thousand Words A develomentally appropriate approach to early learning by Matthew S Seebaum PDF Download - GOOGLE BOOK Free eBooks for Life! 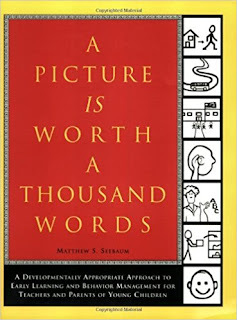 A Picture IS Worth a Thousand Words is an instruction book for teachers and parents about how to use images to explain abstract concepts to young children, with lessons that are easily adaptable for home or school. Matthew (Matt) S. Seebaum, a veteran educator with years of early childhood teaching experience, wrote it for those parents and educators who could benefit from practical tools to aid in dealing with young children. Aptly named, A Picture IS Worth a Thousand Words helps explain to adults the unique visual learning needs of children. My name is Chloe Vanderbilt and one year ago my life changed forever. But one steamy summer night, and a few wines too many, an encounter with a mysterious stranger at a party shakes up her world. But when a picture emerges of her and Hollywood ‘it’ boy Jack Dean, it gets tongues wagging and before long, Chloe finds herself the heroine of her own story. It was a wonderful tool for dealing with classroom procedures and discipline. I started using many of the ideas with my own kids once I became a parent. My kids are 5,7,and 8. I still create little posters or checklists to hang around the house to remind them of bedtime routines, mealtime manners, or playing fair. My oldest has aspergers and these reminders help to keep him on task.